There may be conflicting figures about the success/failure rate of restaurants, but the fact remains that it is a fragile business and more operations fail than succeed. So, why is it that there is never a shortage of people lining up to “crack the code” and open their doors for the anticipated onslaught of happy customers? If I had the definitive answer then my services would certainly be in demand, but I do have some observations based on experience – observations that may not yield the definitive solution to restaurant success and failure, but ones that certainly contribute. Here goes……. WHAT TO DO: Do Your Research! Find out what the successful restaurants do in terms of product, service, management, marketing, etc. – learn from their experiences. Find out everything you can about a location (traffic patterns, why people use those roads, traffic generators in the area, development plans in the neighborhood, population, mean incomes, ethnic backgrounds) and catalog this information as a resource for planning your business. WHAT TOO MANY NEW RESTAURATEURS DO: I Don’t Need Research. I have a great idea that I feel real good about and am confident that people will respond favorably. Research takes time and costs money – I need to get moving on this quickly. WHAT TO DO: Have a Vision – Build a Concept! 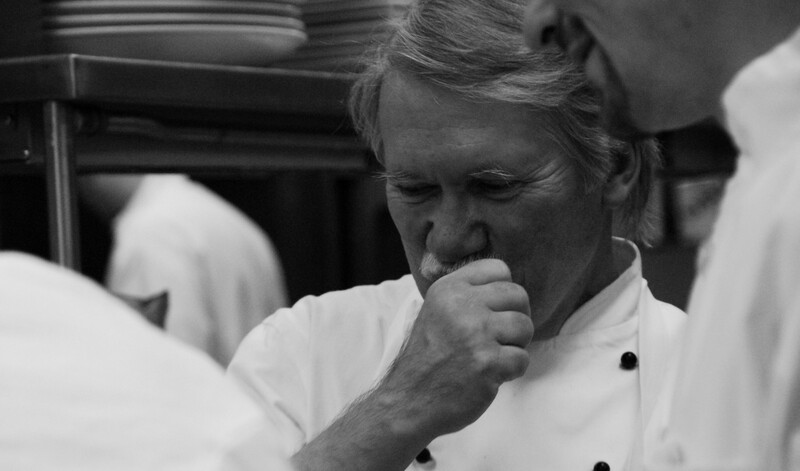 Everything should follow from the building of a vision that the restaurateur is passionate about. A well researched concept that fits the area, stokes the fires of the operators passion, matches the belief structure of potential customers, and makes sense financially is the engine that drives the business. WHAT TOO MANY NEW RESTAURATEURS DO: My intent is to serve tasty food that I like, in a dining room that suits my taste, and count the money as it flows in. After all, its just food – how hard can it be? WHAT TO DO: Know the Competition. If a customer is purchasing food in another restaurant then they are not partaking of yours. To this end, every restaurant is in your competitive set. It is imperative that you know everything that you can about them. Know what they do well, know their Achilles heal, know their customer volume, study their menus, know their price point, experience what they offer, and assess how well they address customer needs. This is a very important part of building a successful restaurant. WHAT TOO MANY NEW RESTAURATEURS DO: I am only in competition with myself. If I do things the way I think they should be done, then let the cards fall as they may. I don’t have time to figure out what everyone else is doing, I can barely get everything done as it is. WHAT TO DO: Know Your Customer. The edgy word for this today is profiling, but no matter what label you give it, knowing your customer works. Every single guest who walks through your door provides you with an opportunity to create a loyal ambassador. Learn their names, track what they like, always make exceptions when they are looking for something different, communicate with them, demonstrate that you are glad to see them walk through your door, make them feel special, and show that you appreciate their business. If you do this they will return. It is return business that drives success. WHAT TOO MANY NEW RESTAURATEURS DO: Everyone is equal – my focus is filling seats! How on earth could I invest the time to build this type of relationship with every customer? WHAT TO DO: Service Above All Else. Understanding what service means in today’s economy is essential. In a world where mass customization and personal connections have been made possible through technology, there is no excuse for avoiding the delivery of exceptional service. As much as is physically possible – the answer to a guest’s request should be “yes”. This is what they have become accustomed to. WHAT TOO MANY NEW RESTAURATEURS DO: No exceptions! This is what I serve, how I serve it, and when I serve it. If anything changes it will be because that is what I decide to do. WHAT TO DO: Excellence in Product – No Excuses! Excellence is becoming an expectation in most segments of the food business. There is a movement to significantly improve the quality of ingredients, the methods of preparation, the flavor profile, and the nutritional value of food. Every restaurant should pay attention to this, evaluate what they buy and how it is prepared and develop a strategy for improvement. There are abundant examples of Excellent Quick Service, Excellent Family Style, Excellent Take Out, and Excellent Full Service Restaurants. It can be done and more and more customers are seeking this out and expecting it. WHAT TOO MANY NEW RESTAURATEURS DO: Excellence costs money, takes time, requires talent, and is not necessary to make money in a restaurant. I will focus on volume rather than quality. WHAT TO DO: Create Value – Charge Accordingly. There is a misconception that value is just another word for low price. Price is only one aspect of value and if that is a restaurants sole focus then there will be limited reasons for a guest to return. Value has everything to do with the overall experience that includes attentive service, unique flavor, and great ambience, personal connections with the operation, tabletop appointments, brand recognition, and the energy of the restaurant. When all components are in place then price becomes less important (never unimportant). This is where restaurants need to be. Grabbing a hamburger at Shake Shack is an overall experience that far exceeds that of other quick service operations. This “value” allows the operator to charge a premium for what they serve. WHAT TOO MANY NEW RESTAURATEURS DO: It’s all about price and quantity. If I can undercut the pricing of my competition then I will win over a customer base. The problem is that this is turning restaurant food into a commodity and nothing more. Loyalty rarely comes from simply charging the cheapest price. WHAT TO DO: Be There – You Are the Business! Absentee ownership doesn’t work in restaurants. You, the restaurateur and/or chef should be one of the primary reasons why guests are sitting in your dining room. Building relationships with guests and leading your team is as essential as the service and food that you provide. Caring about the guest goes with the turf. Shaking hands, thanking guests, expediting service, problem solving, and brand building are critical skills that return guest gravitate to. WHAT TOO MANY NEW RESTAURATEURS DO: I hire employees to be there for me. The host and/or manager can take care of this. I want to spend my time on watching the financials. WHAT TO DO: Hire Right, Train Constantly. There are no tasks in a restaurant that are more important than spending the time to find the best employees and constantly training them to improve. This is an investment in your operation, an investment that will always yield significant benefits. The most important asset that your restaurant holds is not the building, equipment, or location – it is the quality of caring, well-trained employees. Whatever time you are investing in this – double it! WHAT TOO MANY NEW RESTAURATEURS DO: I hire people when I need them and expect that they will perform. If not, they can be replaced. Training is expensive and since employees come and go so often, it doesn’t make sense to spend the money and time. Hmmm…I wonder why there is such a high turnover rate? WHAT TO DO: Take Care of Employees. This is a current topic worthy of significant discussion and attention. A livable wage rises to the top of every conversation and this is, of course, important, but so too are considerations for training, empathy, predictable scheduling, sick time, vacations, providing the right tools for the job, building an effective team, creating opportunities for advancement, giving employees an opportunity to offer ideas and feedback, and treating everyone with respect. It is the total package that counts, not just increases in wages. WHAT TOO MANY NEW RESTAURATEURS DO: I pay them, it’s their responsibility to come to work prepared and ready to perform at the highest level. Take it or leave it – the restaurant business is tough – deal with it. WHAT TO DO: Being a Restaurateur is a Life Commitment – Work Ethic and Marketing are Key Elements to a Successful Operation. If this restaurant is your baby, there is an understanding that these investments are part of the drill. You work harder in an effort to take care of your staff members who in turn take care of your customers. Getting the message out today is different than it was a few decades ago, but the marketing effort is as, if not more, intense. Today we market our operations through social media, on-line initiatives, email blasts, and interactive apps for phones. In the end, it’s all about getting the message out. You work too long and hard to avoid paying attention to this. WHAT TOO MANY NEW RESTAURATEURS DO: I have a life outside of work, so I expect my employees to invest the time, not me. I will take out that weekly ad in the paper, buy some radio spots, and send out flyers on occasion. Advertising is advertising – a necessary evil. WHAT TO DO: Have Enough Capital. Operating a restaurant is expensive and will be forever. Make sure that you have a cache of funds to help cover expected and unexpected swings in business and absolutely make sure that those funds are sufficient to get through those initial start up years when you are building a reputation and working through the challenges of defining your brand. WHAT TOO MANY NEW RESTAURATEURS DO: I made the investment to open now I have to start making money right away. WHAT TO DO: Have Patience and Believe. It will take time for your operation to reach its stride and realize its potential. Wolfgang Puck stated that when he opens a restaurant his expectation is that profit is something that may not come for the first three years of operation. If you take care of the essentials, invest the time and energy, build the right team, create value, and BELIEVE in your concept, then success has a better chance.